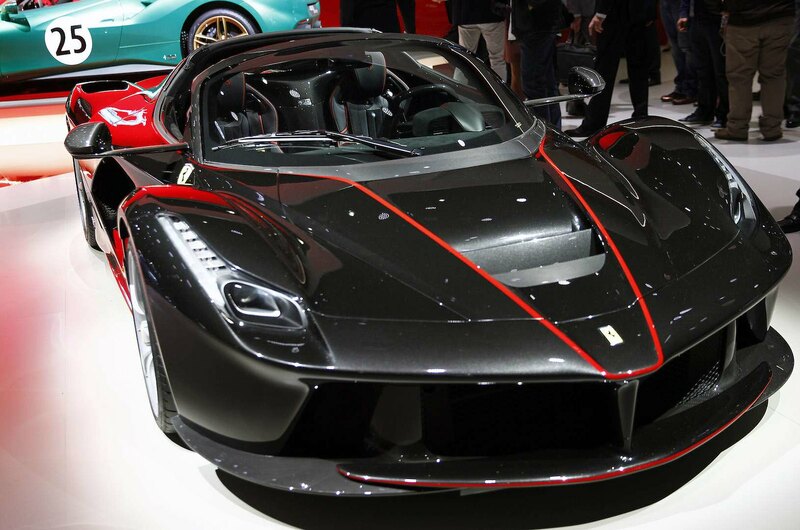 When the Ferrari LaFerrari was first introduced at the 2013 Geneva Auto Show, it turned heads — a lot of them. Despite the fact that it had to share the floor with a new Lamborghini Veneno and the McLaren P1, there’s just some things that the red horse can do to a car lover. For starters, it has a top speed of 217 mph, which crushed the track record at Maranello, and goes from 0 to 60 in under two seconds. That’s fast. Really, really fast. But how can you improve on an otherwise fantastically quick hyper car? You take the top off, of course! The Ferrari LaFerrari Aperta, which literally means “open,” does come with a few changes from the hard top model, mostly due to the loss in structural integrity at such a high performance level. Despite using the same revolutionary drivetrain to create around 1,000 horsepower — a mid-rear mounted 6.3-liter Ferrari F140 V12 coupled with a HY-KERS kinetic energy recapture system borrowed from its Formula 1 car –, the Aperta’s has a more prominent front air-dam to boost downforce, its radiators have been angled down to direct air flow out along the underbody instead of over the hood, and an L-shaped wedge has been integrated to the upper corner of each windshield a-pillar to reduce compression on the rear of the cabin.